Free Download Fruit Lockers Reborn! Game or Get Full Unlimited Game Version! PC Games Home» Simulation» Fruit Lockers Reborn! Fruit Lockers is back! Double your fun with Fruit Lockers Reborn! An exciting twist on the popular match-three puzzler. In order to get advantaged of playing Fruit Lockers Reborn! full unlimiteg game version you must register the game. Fruit Lockers is back! Double your fun with Fruit Lockers Reborn! An exciting and unique twist on the popular match-three puzzler. Swap colored lockers to open them up and reveal the fruit inside. Then, swap and collect the fruit. As you progress you'll encounter new fruit and helpful tools. Immerse yourself and improve your records with tons of challenging yet balanced levels to master. Unlock and earn powerful bonus items like the hammer, bubble, bomb and fruit blaster. If eating fruit is good for your body, then playing with it must be great for your brain! Survive Fruit Mania in this incredible, unique, and fun Match 3 game! Stop the bugs from eating your fruit by clearing the level! Battle through stacks of barrels and release the fruits of the jungle to take the high score in this matching game. 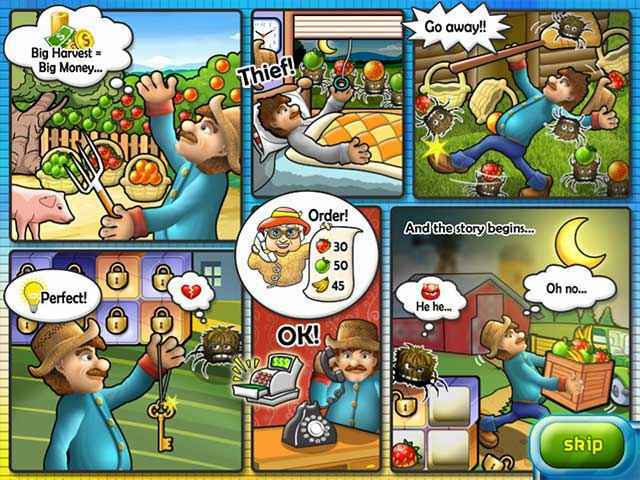 Help Rikki the monkey save Tino's Fruit Stand by filling customer's orders as you play through several challenging levels! Tom and Charlize love fruits and want to build their own fruit farm. Will you help them? 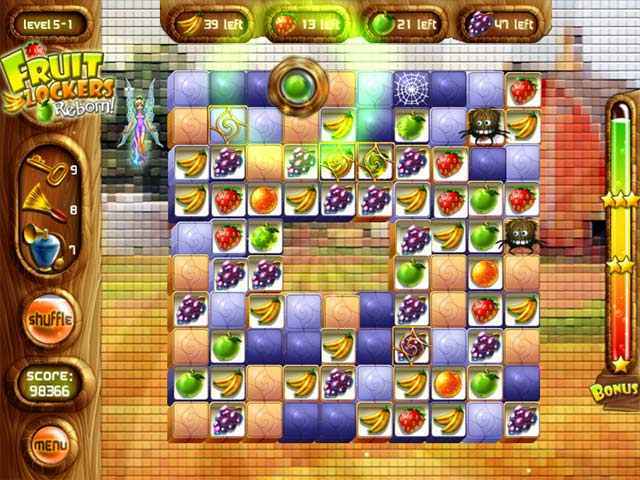 Match pieces of fruit by turning the board and allowing the fruit to fall into place.